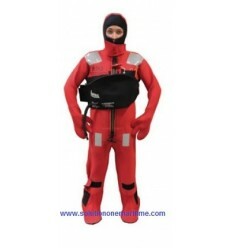 Immersion Suits There are 7 products. Imperial Immersion Suit 80-1409-A Adult Universal USCG The Imperial Immersion Suit has the longest running history in the US Marine Market than any other suit. It was invented in 1969 by Gunnar Guddal,and is in fact the first suit ever of its kind. The legacy continues today as the lives ofcountless owners of Imperial suits continue to be saved. 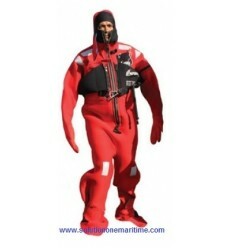 Imperial Immersion Suit 80-1409-O Adult Intermediate USCG The Imperial Immersion Suit has the longest running history in the US Marine Market than any other suit. It was invented in 1969 by Gunnar Guddal,and is in fact the first suit ever of its kind. The legacy continues today as the lives ofcountless owners of Imperial suits continue to be saved. Imperial Immersion Suit 80-1409-J Jumbo USCG The Imperial Immersion Suit has the longest running history in the US Marine Market than any other suit. It was invented in 1969 by Gunnar Guddal,and is in fact the first suit ever of its kind. The legacy continues today as the lives ofcountless owners of Imperial suits continue to be saved.